I can’t be the only one that has issues keeping my keys and wallet together, especially on the (rare) occasion that I head out for a run or other exercise. Scratch that, I know I’m not alone because 833 good people have backed Keylet, a very cool Kickstarter project that literally brings your keys and your wallet together for safekeeping and convenience. The design is sleek enough to easily slip into your pocket (but hopefully not out) and it’s built with stainless steel which makes it durable and, for me at least, rather gorgeous. Cash slides under the clip while your key is clutched between the front and rear of the Keylet, before being screwed down for good measure. The good news is that the project is set to become a reality. It has raised $57,275 so far, having surpassed its goal of $42,500 earlier this week. There are 23 days still to run and you can become a backer for just $1 (which gets you on a referral system to earn your own free Keylet) but the Keylet itself is just $45 (less than an App.net subscription), plus $10 shipping for those of us outside of the US. 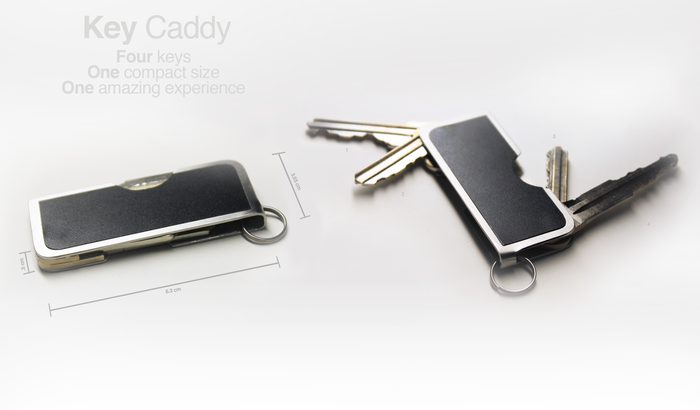 That’s a pretty good deal and, equally, those who prefer a key-only option can turn to Key Caddy, which holds a number of keys in a Swiss Army Knife style package, as below. Personally, I’m all about the Keylet though and there are a range of different options for backing the project, which go up to $325 for four Keylets and four Key Caddys. 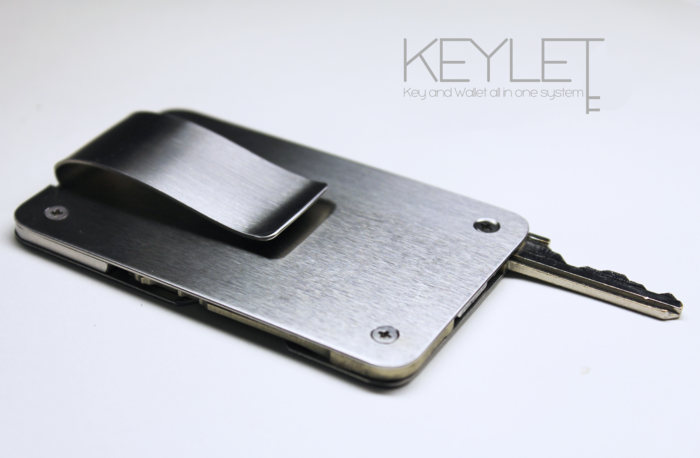 Get the full low-down on the Keylet Kickstarter page.